With the Tape Measure tool, drag a parallel guide 5 feet, 3-1/2 inches from the inside of your entryway. 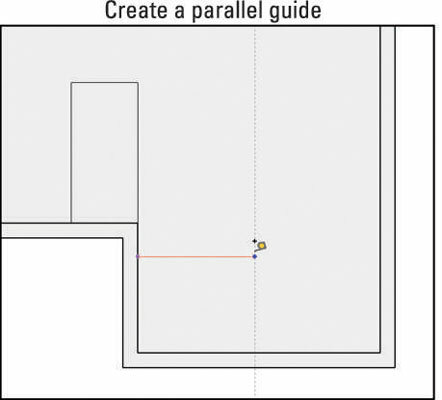 To do this, just click the edge from which you want to draw the guide, move your cursor to the right (to tell SketchUp which way to go), type 5’3.5, and press Enter. Draw a few more guides the same way you drew the first one. 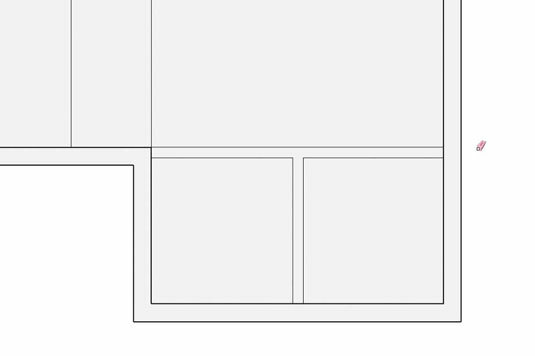 Working from your pencil drawing, figure out the location of each interior wall and create guides to measure the space. 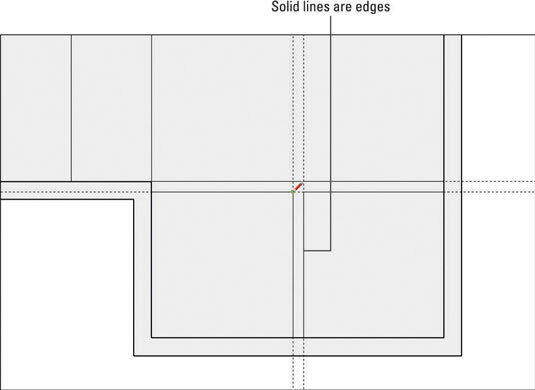 Switch to the Line tool and draw edges to represent the interior walls. By using the guides as, er, guides, it’s easy to draw your edges correctly. Don’t forget to zoom! When you have a jumble of edges and guides and you can’t see what you’re doing, just zoom in. Many folks forget to change their point of view while they work, and zooming makes all the difference. 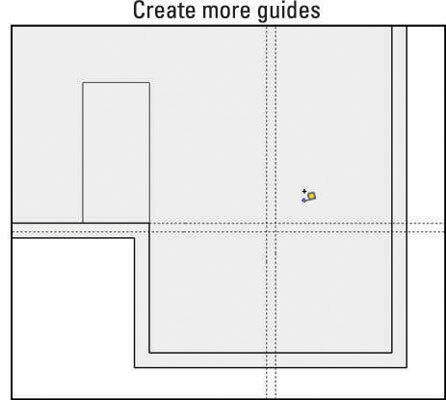 Use the Eraser to delete your guides. Use the Eraser to get rid of any extra edge segments. The goal is to have the smallest-possible number of 2D faces to extrude into 3D walls, a little later on. Because the exterior-wall face — and the edges that define it — is part of a separate group, accidentally nicking it with the Eraser deletes the whole thing at once. If this happens, just choose Edit→Undo to go back a step, zoom in a little bit, and try again.